In tonight's episode of Kulfi Kumar Bajewala, Kulfi is very tensed and she thinks that the bright star in the sky is her mom and she apologies from her mother. 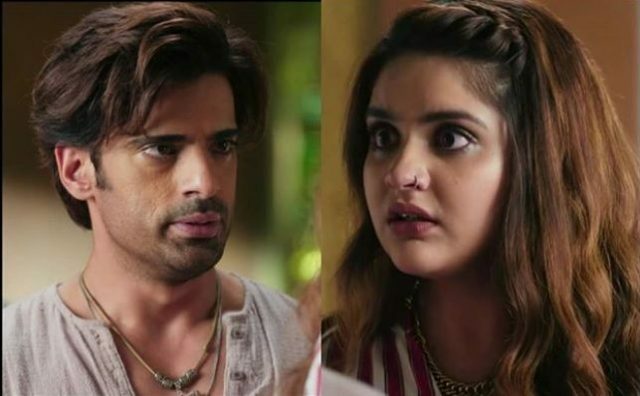 In Kulfi Kumar Bajewala latest episode, Kulfi’s reality revealed in front of everyone. Kulfi wore a mask on the stage while performing and Amyra took off her mask in front of everyone, this act of Amyra made Kulfi very nervous. The five kids who were also performing came in front and supported Kulfi. The judge Udit Narayan gets shocked and says she is one of those kids from Assam who were missing. On the other side, the audience turned against Kulfi. Sikander was watching everything, and he was thinking of how to save Kulfi from all this drama. In Kulfi Kumar Bajewala the lead role Kulfi is playing her character very nicely. She is a brave and intelligent girl. She always finds a way to come out from any problem. Again she is in trouble, and everyone is eagerly waiting to see how she manage this problem. In tonight’s episode of Kulfi Kumar Bajewala, Kulfi is very tensed, and she thinks that the bright star in the sky is her mom and her apologies from her mother that please forgive me, I will never get upset from you. Now she asks from her mother that whether I should sing with Udit Ji or not, Kulfi received a positive sign from that which is her mother. On the other side, Amyra is not ready to sing with Kulfi and Lovely tried to convince Amrya to sing with Kulfi. Sikander saw a poster of children who were missing from Assam, where he also saw Kulfi in that poster. He asked Lovely about what she did. Lovely apologized for what she did, and she said that she had no other option. Sikander noted how you could do this with an 8-year-old girl. This made Sikander extremely angry, and no he can’t keep calm. It will be exciting to see what Sikander will do for his daughter Kulfi.